Jessica Maier advises clients on all aspects of gambling law with a focus on regulation, licensing and compliance. She has been involved in regulatory due diligence reviews in the context of corporate acquisitions and also supports clients in competition- and antitrust-related issues, administrative court proceedings, and out-of-court negotiations and interactions. 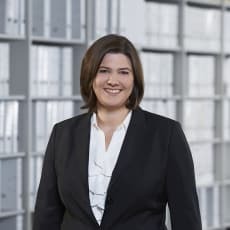 She has provided guidance to clients in various licensing proceedings, and advises clients on the regulatory developments in Germany that impact their business. This includes developing strategies for the implementation of new products on the German market and marketing thereof. Jessica is experienced in lobbying and regularly contributes to gambling law and industry publications. She is a member of the International Association of Gaming Advisors (IAGA) and Global Gaming Women (GGW).